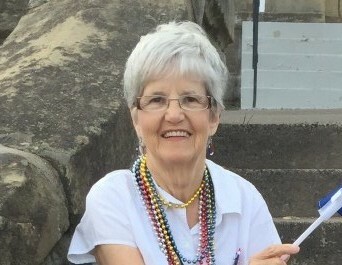 Emilie LeBlanc of St-Joseph, Memramcook passed away on Thursday April 4, 2019 at the CHU Dr. Georges L. Dumont at the age of 77. Born on June 14, 1941 in College Bridge, she was the daughter of the late Emery and Osélie (LeBlanc) LeBlanc. She loved playing darts and bowling and she volunteered at the CHU Dr. Georges L. Dumont. She will be sadly missed by her son, Chris (mon ptit Chris) LeBlanc, two granddaughter, Makayla and Alayah, four sisters, Marie-Belle (late Oscar), Lorette (Leandre), Violette and Lélianne, five brothers, Eugene (Lynne), Euclide, Thomas (Kathy), Roland (Karen) and Frank and by several nieces and nephews. She was predeceased by one infant son Robert, two sisters, Berthile and Rosa and one brother Armand. Visitation will be held at Dupuis Funeral Home, Memramcook on Sunday April 7 from 2 to 4 pm only. Funeral mass will be held at the Saint Thomas de Memramcook Roman Catholic church on Monday April 8 at 3:00 pm. Interment will be held in the parish cemetery. A special thank you to the intensive care and palliative care units of the CHU Dr. Georges l. Dumont.